Width: 35-36", 58-60", 108", 44-45", 72"
Ginni Bleached Cotton Wadding or Batting is very popular in Home Furnishing Industry and baby care products. We are offering Chemical - Bonded Bleached Cotton Wadding / Batting. We use the finest cotton fibers and the best manufacturing techniques to create cotton threads in a wide range of sizes. These threads are well lubricated to give them superior sewability with fewer thread breaks, and are least affected by needle heat or pressing. - Count Range : Ne 40s - 200s with Single & Double Ply. Being the reputed organizations in the industry, we are engaged in providing an attractive range of Bleached Cotton. -100, 80*100 ready stock available. We also manufacture many other qualities in bleach mercerised cotton. 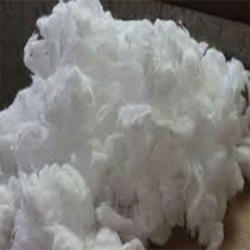 As a quality focused firm, we are engaged in offering a high quality range of Absorbent Bleached Cotton. o It is bleached with Hydrogen peroxide. o Rolls weights around 2kgs each. We are having spinning mill in northern of India. Deals in yarn and cotton. Now we r supplying our product to wicks industries .if any require plz, contact us. We offer hydrogen peroxide bleached high quality bleach cotton for making different surgical dressing & cosmetic pads and available in bale form. We offer bleached cotton that is ideal since it is hygienic and is manufactured using superior quality raw material. Our products are known for their purity and quality. We make available a quality-approved variety of Bleached Cotton Rolls, which is demanded by the hospitals and clinics. These medical dressings are easy to unwind and the short fibers present in it make it simple to tear. 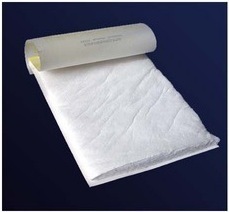 Suited for providing padding and cleaning the wounds, burns or cuts, these rolls are highly absorbent.